The control is touch thanks to Allumia. 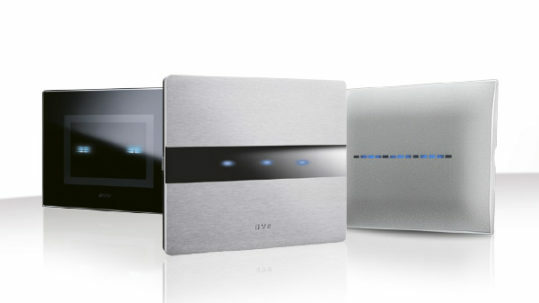 Ave reinterprets the innovative Ave Touch system creating “Allumia Touch”, a revolutionary range of products in anodized brushed aluminium that integrates the range of Ave Touch functions. 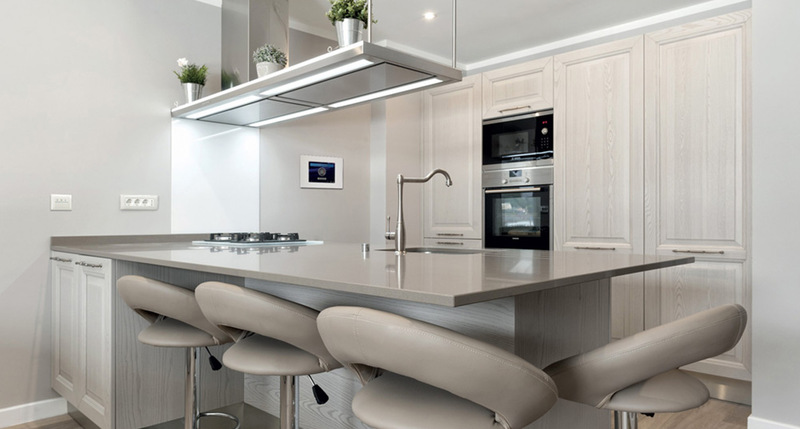 Surrounded by elegant front plates in natural brushed aluminium, AVE Touch controls give a new, modern and informal contact with the switch: simply touching the surface of the plate, in correspondence of the LEDs, you can control the lighting and the connected devices. A knurling on the plates’ surface indicates to finger the point to touch, while a sound “tick” confirms if you switch on or off. The advanced technology, combined with unique design gives the house a modern character. 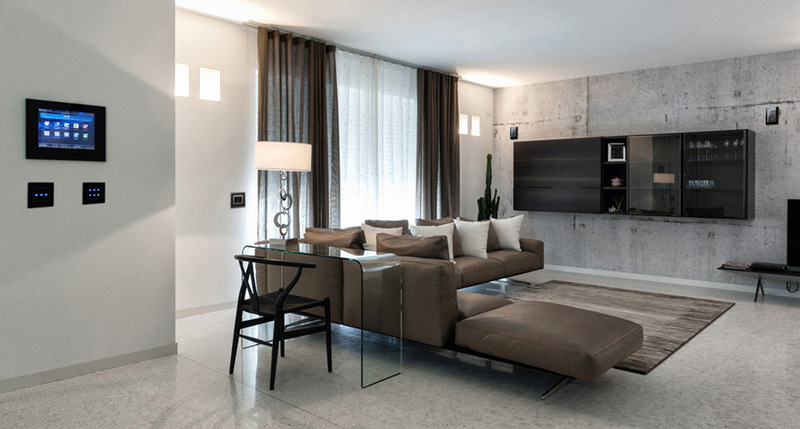 Thanks to the wide choice of Allumia Touch products, this series provides a full continuity between home’s environments. 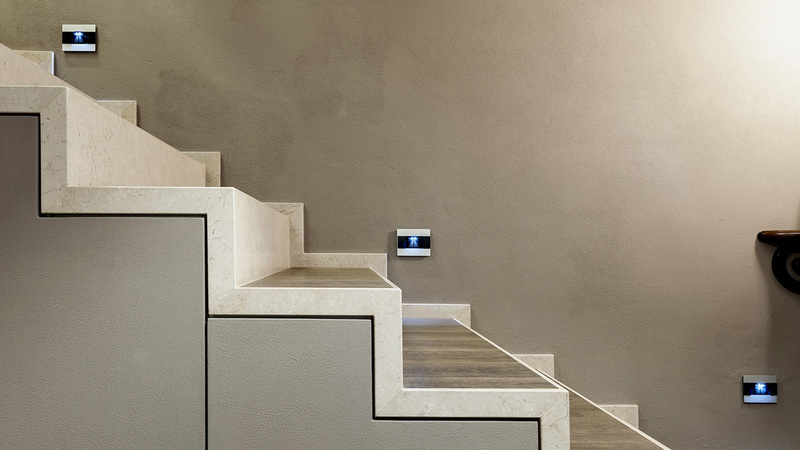 Allumia Touch extends also to home automation providing solutions that ensure safety, comfort and energy savings. 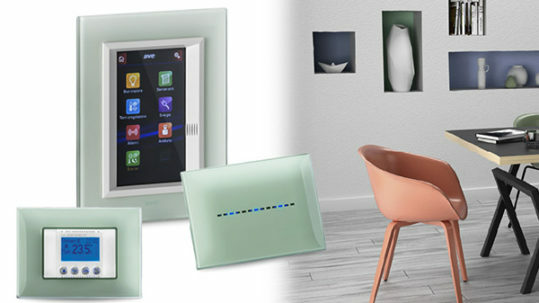 Through the sophisticated and elegant touch screen with brushed aluminium plate is easy to control with one touch all the electrical functions integrated in your home or office: lights, motorized shutters, burglar alarm system, temperature control, water and gas alarms, IP cameras, electrical loads, sound diffusion system, energy, water and gas consumption. Not only residential home automation, but also hotel automation. 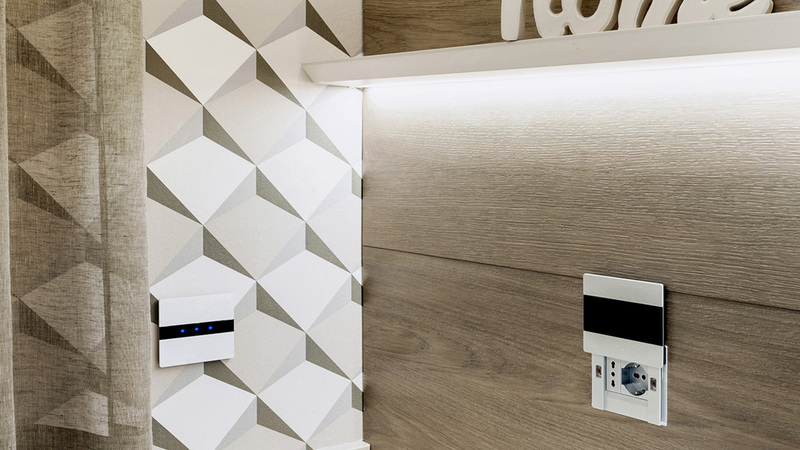 Allumia Touch can be applied in the management of hotels though DOMINA Hotel system, which is based on innovative technology and integration with the AVE’ Wiring Accessories Series. 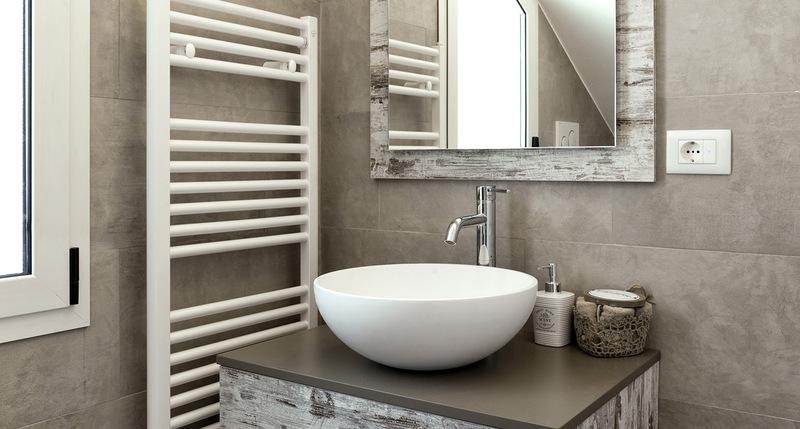 Thanks to technology and design, Allumia Touch is able to characterize any environment in a unique way, giving it a more modern look and practical solutions on a human scale.